Around 11 pm on the second Friday of each month, a group gathers at one of Portland’s watering holes. Some months, the meeting happens at one of the city’s better-known breweries; others, it’s an under-the-radar dive or popular karaoke bar. After an hour of drinking and socializing, the group—which typically fluctuates between 25 and 50 people—cashes out, heads outside to their bikes, and the monthly Midnight Mystery Ride starts its monthly roll. Among the gathered cyclists, exactly one person knows what's in store: The ride’s route, distance, and endpoint are all known to only that night’s ride leader. Everyone else is, ahem, along for the ride. 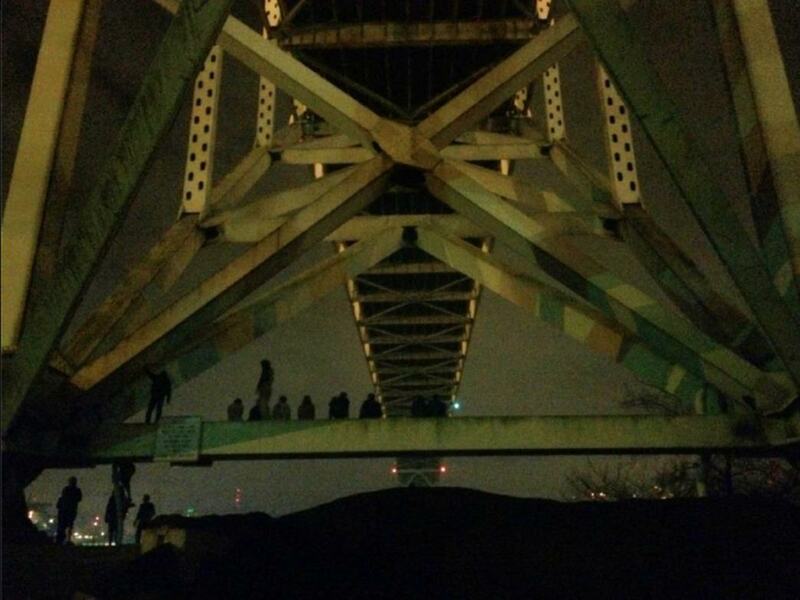 Over the past 12 years, that element of surprise—along with the camaraderie of the group—has made the Midnight Mystery Ride a perfectly Portland event. 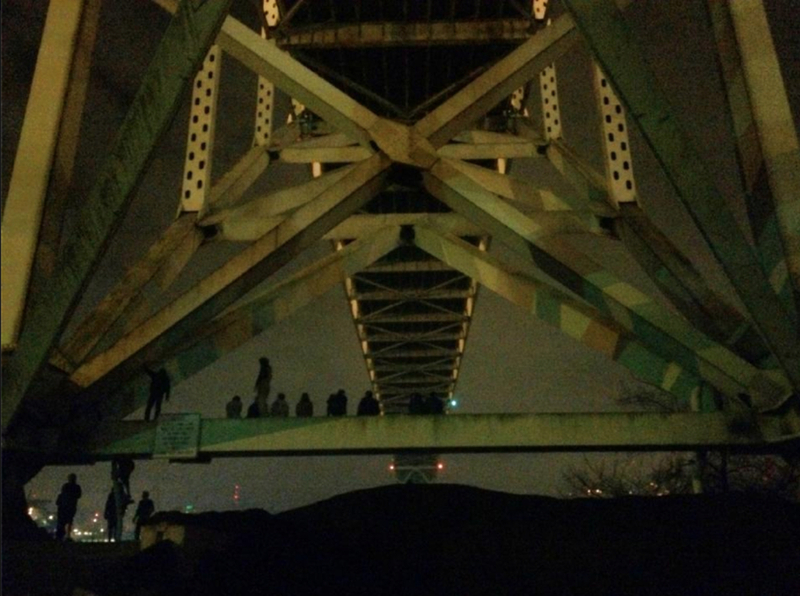 “It’s a chance to hang out with an adventuresome group of people—some of whom you know and some of whom you don’t know yet—and a chance to explore the city through someone else’s eyes,” says a member of Team Midnight, the group that organizes the monthly ride, who declined to give her name, keeping in tune with the ride's secretive essence. 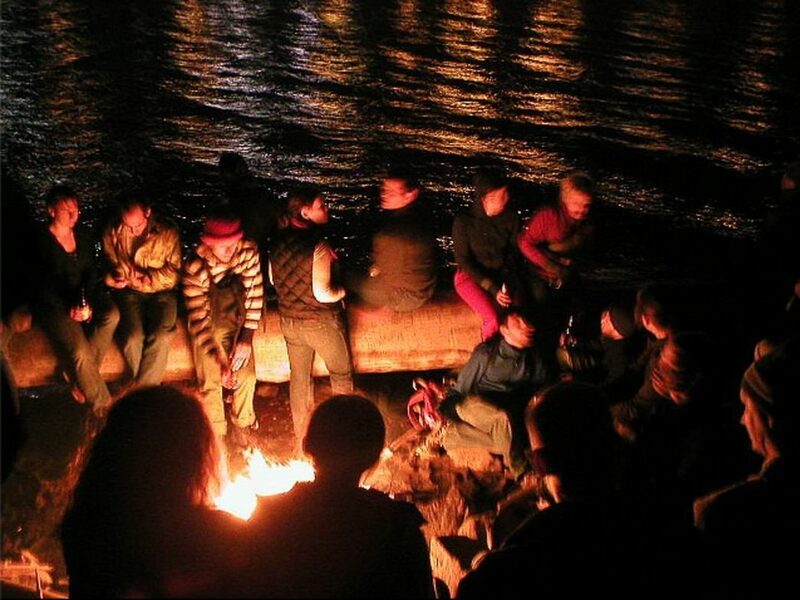 Once they meet up, cyclists ride with their leader to the evening’s destination—typically a park, abandoned building, sequestered viewpoint, public space, or gathering spot unknown to most Portlanders—where they chat, explore, (typically) build a fire, and break out the food and drink. Some cyclists camp out if the weather and conditions allow, while others head home and circle the next month’s ride on their calendar. Interested in joining the fun on the next Midnight Mystery ride, which is scheduled for August 14? Read on for what to know before you go. You can ask nicely all you want, but just like everyone else, you’ll have to wait until the day of the ride to find out where to meet. That evening’s meeting spot—the only information publicly available before the ride—is shared that day on the ride’s website and on its Facebook page . The bonding experience before the ride is almost as important as the ride itself for some cyclists. 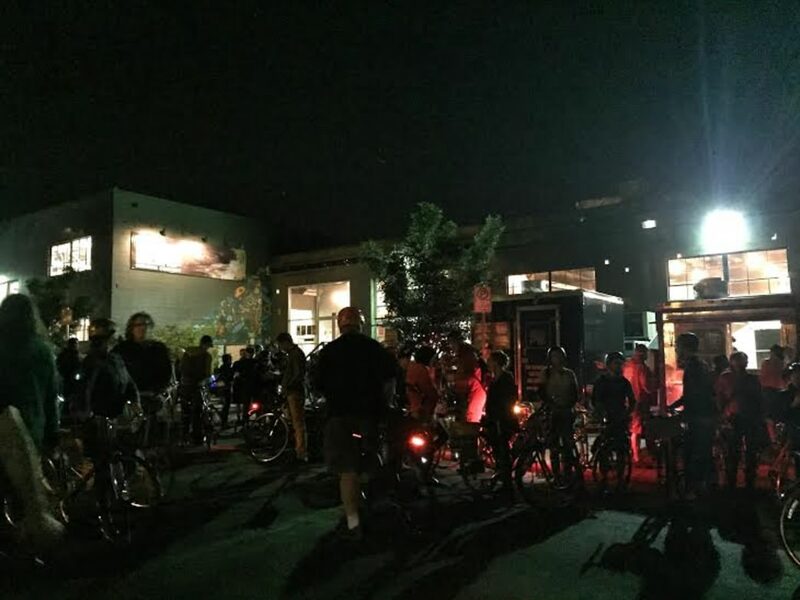 The Midnight Mystery Ride occasionally starts at a locale well-known to most Portlanders—New Copper Penny, Base Camp Brewing Company, Apex, and The Alibi Tiki Lounge have all hosted the Midnight Mystery Ride over the past 13 months. But the best starting spots are obscure, out-of-the-way or otherwise under-the-radar bars unfamiliar to most, says the Team Midnight member. Some of those lesser-known establishments include Ducketts Public House and the Mousetrap Tavern. The Team Midnight member encourages riders to head inside and support the local business, rather than wait for the ride to start in the parking lot or on the sidewalk. Brace yourself for the unexpected. Not only will you explore a destination with which you’re likely unfamiliar, but you’re probably taking an unusual route to get there. As for where you might end up, “the most unexpected endpoints are the most exciting,” says the member of Team Midnight. One particularly memorable ride ended on an isolated hill overlooking Interstate 205. By day, a crowd that close to the highway would have distracted drivers, she says. But the darkness allowed the group to re-appropriate the area as a park, even if only for a few hours; one rider brought a guitar and played music, while another passed around hot cider. The views didn’t hurt, either. “Once you sat down, it was like sitting on stadium seats and watching the spectacle of cars going by,” she says. Sure, it’s enough to show up and follow the leader. But there are ways to carve out a more enriching, social experience—and that's a big part of the essence of the ride.